It's time for pumpkin everything, is it not? 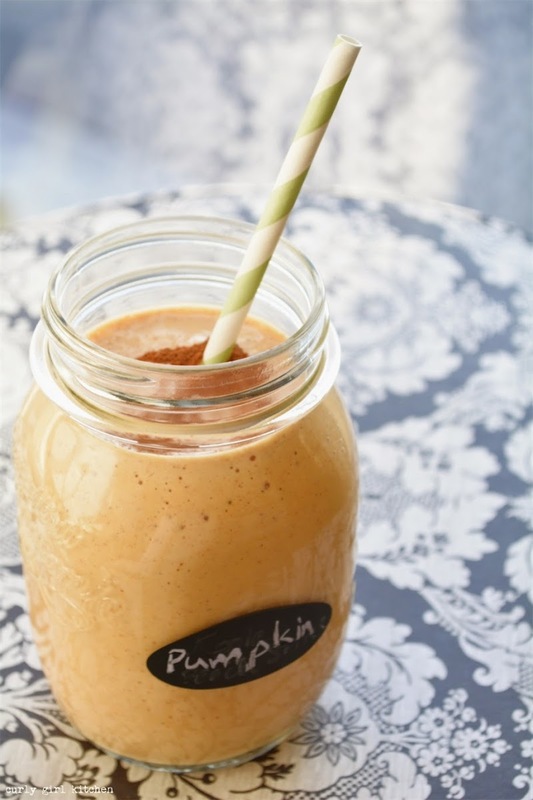 I'm starting off pumpkin season with a smoothie that tastes like you're drinking pumpkin pie. With my eating very clean over the past year, aside from the occasional sweet treat, I've eliminated protein powder from my smoothies. I just couldn't find one - that I liked the taste of - that didn't contain artificial sweeteners and other ingredients that I don't want to eat. So instead of protein powder, I use raw eggs in all my smoothies now. Yes, raw. If you're squeamish, well, I get it, but I urge you to at least try it. Eggs are some of the best protein for you, and a raw egg or two in a smoothie adds such rich creaminess that you'll almost feel like you're drinking a milkshake. There was a reason Rocky gulped down a glass full of raw eggs every day. 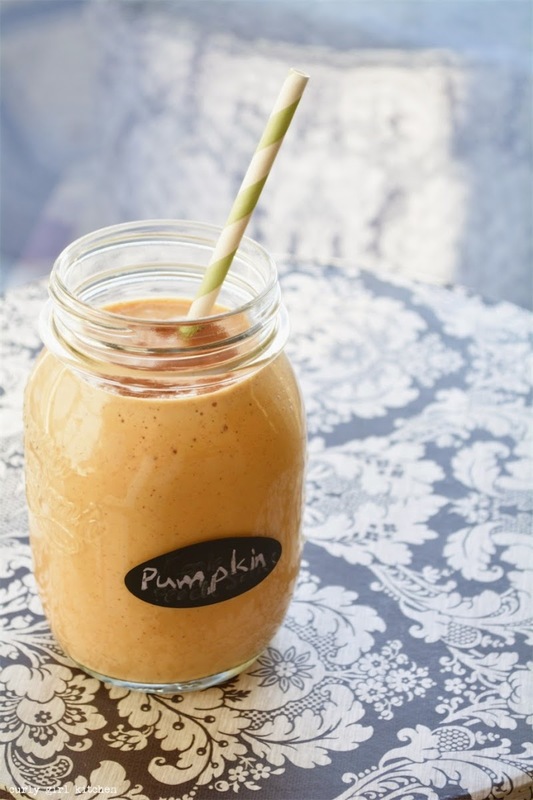 This pumpkin smoothie is the perfect balance of healthy fats, protein and carbs, and tastes completely indulgent while providing your body with some great nutrition. 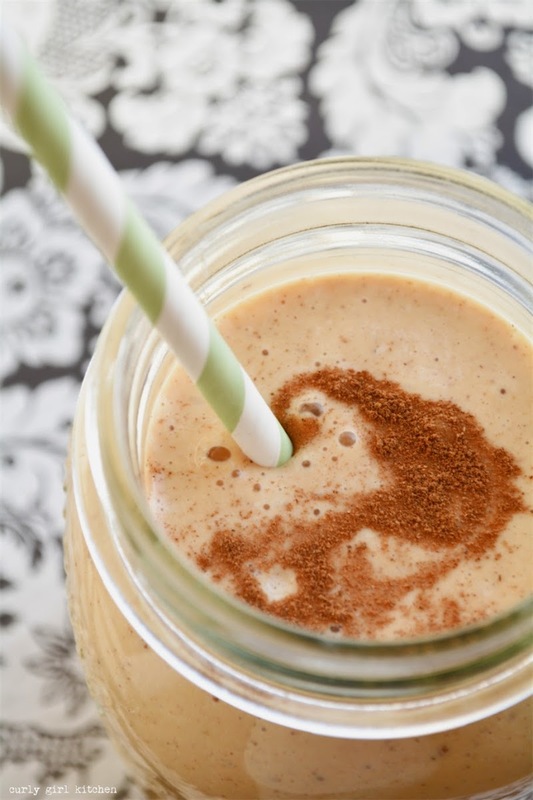 Blend all ingredients in your blender until smooth!